Peanut Butter Banana Bread - This banana bread is moist and flavorful. Along with the peanut butter, chopped peanuts and chocolate chips are added to the bread for fabulous texture. It's a fun and delicious family-friendly bread. Favorite Banana Nut Bread - This banana bread is made with butter, eggs, bananas, and finely chopped pecans, and it has more than 2 dozen 5-star reviews. Moist Chocolate Chip Banana Bread - Mitzi's flavorful banana bread recipe is filled with chocolate chips. The kids will love this one! Banana Bread with Cream Cheese - This banana bread is made with Bisquick or a similar biscuit baking mix along with cream cheese. 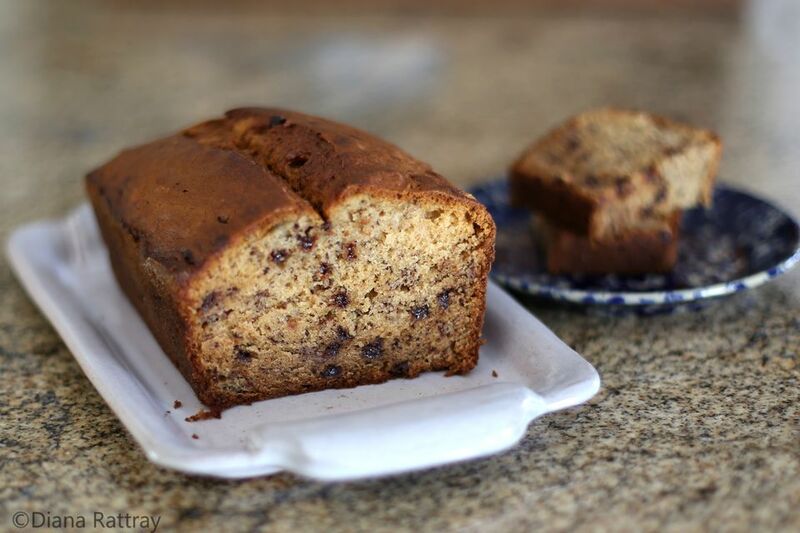 One-Egg Banana Bread - This is another top-rated banana bread. It's made with butter and 1 egg, along with optional nuts. Simple Banana Bread - This basic banana bread recipe makes two loaves but may be easily scaled down to make one loaf. Banana Bread with Orange Zest or Vanilla - Add chopped pecans or walnuts to this tasty banana bread. Easy Banana Nut Bread​ - This banana nut bread is very easy to prepare with biscuit baking mix and chopped pecans or walnuts. Banana Date Bread - This banana bread includes finely chopped dates.